The Republic of Panama’s Public Spending watchdog has recently signed a contract between the National Council for Sustainable Development (CONADES), an institution attached to the Ministry of the Presidency of Panama and the Bonyic Water Consortium, led by Tedagua, in partnership with Joca Ingeniería y Construcciones. 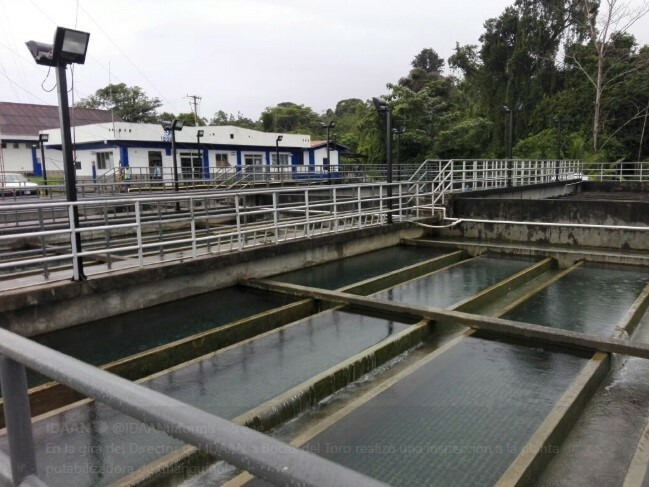 The contract, with a budget of 12 million dollars, consists of the project design, construction, operation and one-year infrastructure maintenance of a new raw water intake for the El Silencio drinking water plant, in Changuinola, Bocas del Toro province (Panama). The configuration of the current water intake on the river Teribe, in addition to its high energy consumption, is affected by the accumulation of significant amounts of sediment. It is also extremely vulnerable to changes in water level that the course of the river is subject to, especially in the dry season. These circumstances can drastically reduce the supply of raw water to the water treatment plant. The works referred to in this contract will include a new surface catchment device with desilters in the Bonyic gauge, from which an 11 km ductile cast iron pipeline will connect with the current supply pipe to the drinking water treatment plant. The basic design criteria were that the system be entirely gravity fed, thus eliminating the need for the construction of pumping stations, with the consequent saving of energy and maintenance. With this new contract, Tedagua consolidates its presence in Panama, a country in which it is currently involved in the construction of the Gamboa drinking water plant, a new infrastructure that will reinforce the supply of drinking water to the capital city. Furthermore, Cobra Group, the principal pillar of ACS&#39; industrial division, has been present in the country for 18 years and is the main contractor for Naturgy and ENSA, Panama’s two electrical energy distributors. It has also built a number of hydroelectric plants with a total capacity of 240 MW in the province of Chiriquí, the 270 MW Penonomé wind farm, in addition to collaborating with other consortiums in works such as the Line 1 of the Metro or the expansion of the Northern Corridor of Panama City.